Viewers in Brighton & Hove as well as in Guildford will need to retune following the latest Freeview frequency changes. On Wednesday 14th March 2018, local TV transmitters will be affected by the ongoing clearance of TV services in the 700MHz frequency band to make way for future mobile networks. 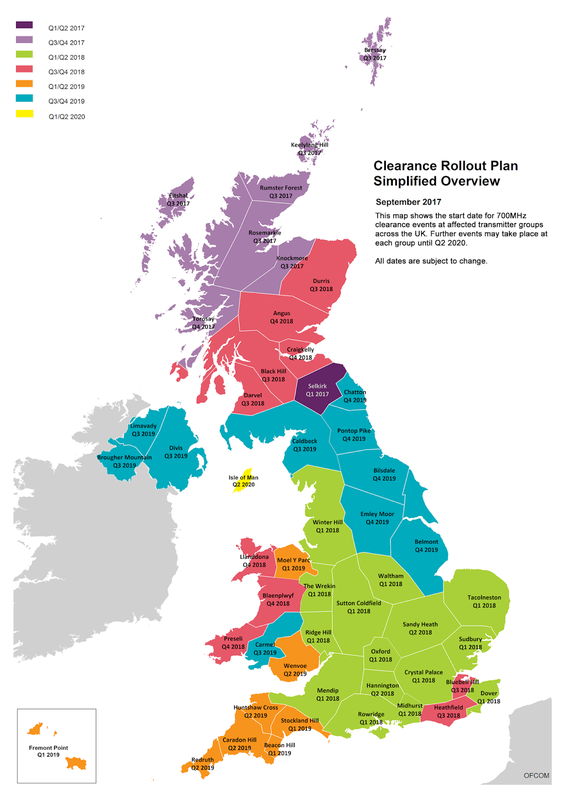 The clearance is taking place on region-by-region basis between now and mid-2020. 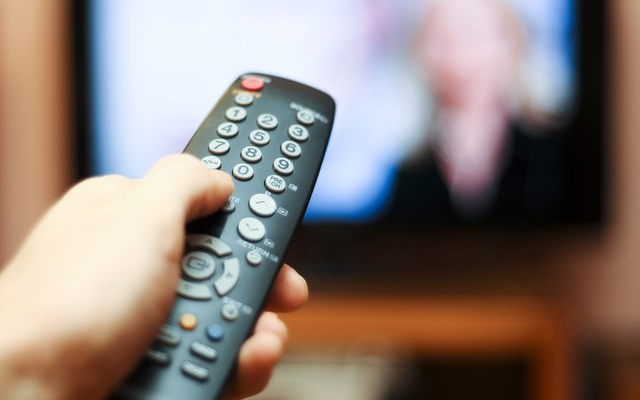 For viewers in Brighton & Hove and Guildford, it will mean that a number of Freeview channels will be temporarily unavailable during the early hours of 14th March, and a retune will be required from breakfast time to continue receiving all available TV channels. Both areas will be subject to another Freeview retune in the future, once neighbouring areas have undergone frequency changes, in order to avoid TV signals from different transmitters interfering with each other. The multiplex carrying 5STAR, 5USA, Quest, QVC and True Entertainment among other channels (multiplex COM4) is changing frequency - from UHF channel 48 to UHF channel 37. A further retune will take place on 18th April 2018, affecting a wider range of channels. The London TV region's main transmitter at Crystal Palace will have changes on 21st March 2018. Your regional news is South East Today on BBC One and ITV News Meridian on ITV. All viewers will need to retune to continue receiving all available Freeview channels on 14th March 2018. Some viewers may need to upgrade to wideband aerial to continue receiving all available channels. The multiplex carrying 5STAR, 5USA, Quest, QVC and True Entertainment among other channels (multiplex COM4) is changing frequency - from UHF channel 57 to UHF channel 33. The multiplex carrying Sky News, Pick, Challenge, Dave and Sony Crime among other channels (multiplex COM5) is changing frequency - from UHF channel 56 to UHF channel 57. The multiplex carrying 4Music, Ideal World, 5Spike, Yesterday and Talking Pictures TV among other channels (multiplex COM6) is changing frequency - from UHF channel 48 to 32. The multiplex carrying BBC One South East, BBC Two (SD), BBC Four (SD) and BBC News (SD) among other channels (multiplex PSB1) is splitting frequency. Parts of Brighton will be served by PSB1 on UHF channel 48. In other areas, reception will continue on UHF channel 60 until 2019, when a further retune across the Brighton and Hove area will take place. (c) a516digital 2018; data from Ofcom and Digital UK. Most other areas of the UK (not Northern Scotland) will be affected by mid-2020. Northern Scotland has already completed the change. Other areas that have already retuned recently, will need to do so again in the next two years.